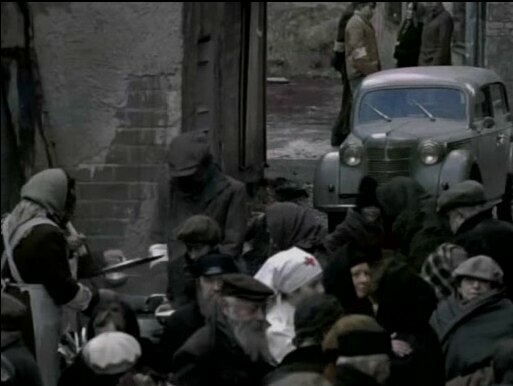 IMCDb.org: 1947 Moskvitch 400  in "The Courageous Heart of Irena Sendler, 2009"
Vote for postwar Moskvitch 400. Much more possible than Opel in (post-USSR) Lativa. When Red Army went to Latvia, all private cars were confiscate and (many of them) vanished in colossal USSR. So, we have Opel Kadett vs Moskvitch 400 stalemate.